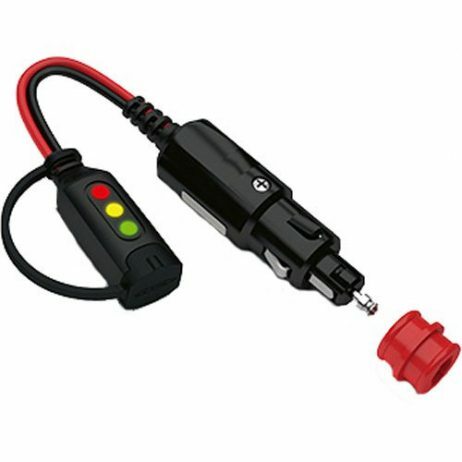 CTEK (56-870) Comfort Indicator Cig Plug - Battery Outlet Inc.
With the CTEK Comfort Indicator Cig Plug the battery is charged through the vehicles 12-volt socket. The connector has the intelligent comfort indicator which shows how much power is left in the battery. Made of high-quality materials for long-lasting dependability, the CTEK Comfort Indicator Cig Plug is compact and can easily fits in your glove box or center console. Please note that the socket must be live when ignition is in the “off” position. This CTEK Comfort Indicator Cig Plug is compatible with CTEK US 0.8, MUS 3300, MUS 4.3 & MUS 7002 battery chargers.